Award-winning educator with a unique background in technology and arts education that allows him to leverage creativity in the learning process. Possesses 10+ years of experience teaching K-8 students in urban public schools, as well as 3 years teaching adult K-12 educators and administrators in an online graduate-level setting. Innovative educational technology leader who uses his expertise to support fellow educators by providing ongoing professional development training and peer coaching. Promotes teamwork through project-based learning and uses the same approach when completing administrative tasks. Leads by example and motivates others to contribute fully through strong interpersonal skills and ongoing communication across multiple modalities. Provides online instruction to K-12 teachers and administrators as part of their graduate program in educational technology. Small student/teacher ratios allow ample opportunities for individual feedback and coaching in addition to whole-class instruction. Teaches coursework in the innovative uses of educational technology (course code CEP 811) and applying technology to issues of practice (CEP 812), incorporating the TPACK framework for technology integration alongside best practices for purposeful use of technology in the K-12 classroom. Serves as a coach and mentor to new online instructors, and works closely with colleagues to revise course curriculum to meet the demands of the ever-changing field of educational technology. Worked with a team of educators that received the 2015 AT&T Instructional Technology Award for “Best Fully Online Course” from the University for their work on CEP 811. Teaches computer science curriculum to 260 students in grades 6-8 at two different comprehensive schools in the district. Collaborates with teammates to write and revise standards-aligned middle school computer science curriculum for the district. Works as part of the elementary grades computer science curriculum pilot, planning curriculum for grades 3-5 and leading professional development for teachers piloting that curriculum. Coaches other middle school computer science teachers to ensure a high level of curriculum and instruction is provided equitably to all students within the district. Served on a focus group organized by the California Department of Education to share insights on the development of the California Computer Science Standards. Taught 630 K-8 students in a culturally and ethnically diverse urban public school in Chicago’s Rogers Park neighborhood. Differentiated instruction for a wide range of learners, including a large population of diverse learners and English language learners. Incorporated 21st century skills into technology curriculum through units of study in computer science and computational thinking, web-based design and creativity tools, Google Apps for Education (GAFE), photo/video production, and digital citizenship. Implemented the SAMR model for technology integration and STEAM-infused learning wherever possible as a music teacher. Coached K-8 faculty members on purposeful technology integration and tool usage in the classroom through ongoing staff development presentations and one-on-one skill-building sessions. Mentored new arts team members through peer-observations and coaching to help them acclimate to the school culture and educational environment. Supervised and trained a technology assistant who supports the daily upkeep of devices and serves as the first point-of-reference for teachers requesting tech support. Elected by staff members for 5 consecutive years to serve as a teacher representative on the school leadership committee, working in collaboration with administration on the development and execution of the annual professional development plan and the school improvement plan. Organized the yearly class schedule for the 8-person team of resource teachers. Facilitated presentations on the topics of technology integration, arts integration, and classroom management during school-wide professional development meetings. Managed 400+ machines (Chromebooks, Dell laptops/desktops, and MacBook Pros) plus peripheral devices (including SMART Boards, Promethean Boards, and ELMO document cameras). Provided general IT support and software/hardware deployment for a school of 40+ teachers and staff members. 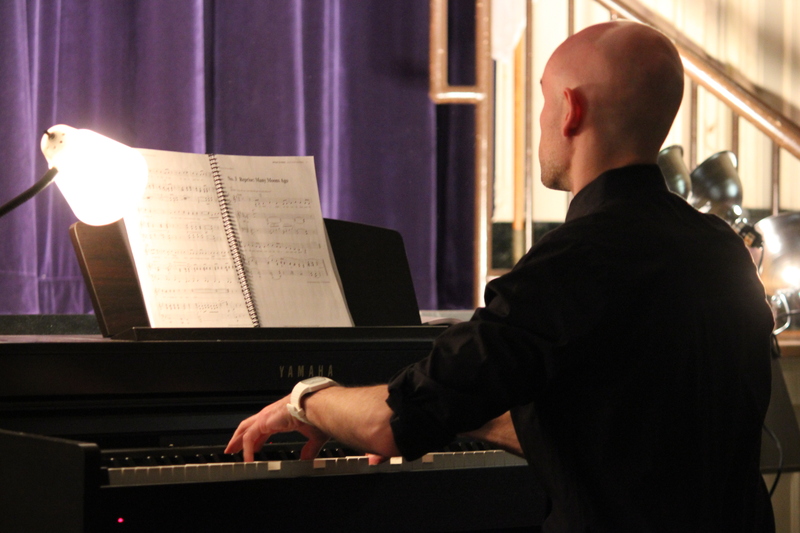 Served as the school’s Arts Liaison, with the responsibilities of promoting cross-curricular connections in conjunction with the four arts disciplines and measuring the overall impact of arts programming. Organized numerous arts performances and showcases each year, featuring both students and local Chicago artists, to cultivate a deeper understanding of the arts and celebrate students’ artistic expression. Ensured that every grade level participates in a minimum of one 10-week arts residency each school year through the implementation and sustainment of artist-in-residence partnerships with a diverse array of Chicago arts organizations. Established the musical theatre program at Stone and co-directed 9 fully staged musical theatre productions, each with 60+ middle school students involved. Successfully applied for Stone to become part of the Chicago Public Schools’ Computer Science For All (CS4All) initiative, a citywide effort to bring computer science and computational thinking to all students K-12. Received the Oppenheimer Family Foundation Teacher Incentive Grant for 8 consecutive years, as well as numerous grants from the Chicago Foundation for Education, the Illinois Computing Educators, and DonorsChoose. Taught general music to a population of 70 students in grades 2 through 8 in both regular education and autism program classrooms at a phased-out urban public school in Chicago’s East Lakeview neighborhood. Taught general music and co-taught both band and chorus to 300+ students in grades 5 through 8 at a large suburban middle school. “Let Google Drive Your Students Creativity,” Chicago Public Schools Tech Talk 2016. Chicago, IL, April 8, 2016. “Streamline the Arts Classroom with Google,” Chicago Public Schools Googlepalooza 2015. Chicago, IL, August 14, 2015. “Innovative Technology for the General Music Classroom,” Illinois Music Educators Association Summer Learning Series. Frankfort, IL, July 29, 2015. “We Are the Music Makers,” Michigan Association of Computer Users in Learning Conference 2015. Detroit, MI, March 20, 2015. “We Are the Music Makers,” Illinois Computing Educators Conference 2015. St. Charles, IL, February 27, 2015. “Don’t Lose STEAM – Fostering Student Creativity and Engagement with the Arts,” Golden Apple Foundation Teachers for Tomorrow Conference 2014. Oak Park, IL, October 4, 2014. “Apps and Beyond,” Illinois Theatre Association. Skokie, IL, March 15, 2014. “Remix Repurpose Redesign: Promoting Student Ownership and Engagement,” Illinois Computing Educators Conference 2014. St. Charles, IL, February 28, 2014. “Remix Repurpose Redesign: Promoting Student Ownership and Engagement,” Chicago Public Schools Tech Talk 2014. Chicago, IL, January 24, 2014. “Putting Arts At the Core of Edgewater: A Conversation on Chicago Public School’s First-Ever Arts Education Plan & What It Means For Our Community,” Panel Discussion, Raven Theatre. Chicago, IL, October 23, 2013. “Catch You On the Flip Side: How Educators Can Explore Digital Literacy Through Flipped Professional Development,” University of Rhode Island Summer Institute in Digital Literacy. Providence, RI, July 2013. “Creativity, Collaboration and the Common Core,” Tech & Learning: Tech Forum Chicago. Lincolnshire, IL, May 2013. Training to cycle 545 miles, from San Francisco to Los Angeles, while fundraising $3000 to support the San Francisco AIDS Foundation. Trained to run the Chicago Marathon for three consecutive years while fundraising over $3000 for the AIDS Foundation of Chicago.